To ensure a high level of business performance, organizations must adapt quickly to an ever changing economic environment and market place. 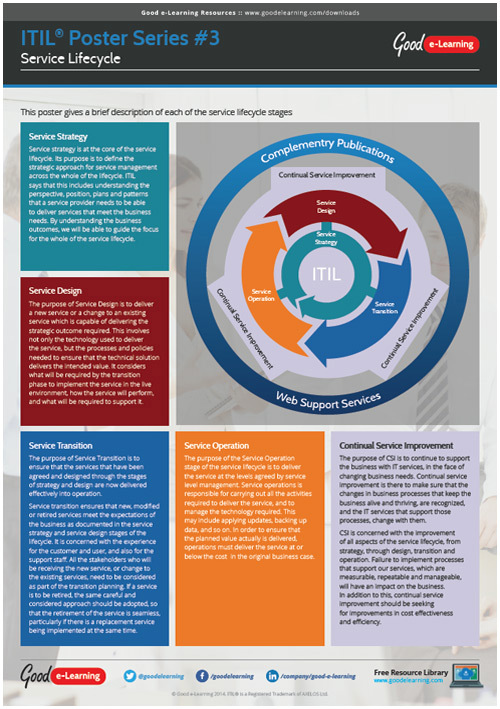 In this poster, we look at each stage of the service lifecycle. Service strategy, service design, service transition, service operation and continual service improvement.